Just a quick post as I'm about to disappear into Christmas Retail Madness for the days running up to Christmas. 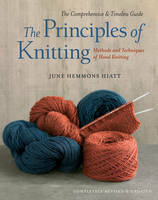 The Principles of Knitting by June Hemmons Hiatt. This is an enormous tome which contains virtually every technique a knitter could want. 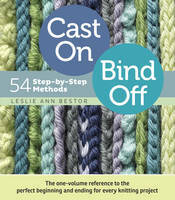 I have a copy, refer to it often and can see that it will be a mainstay of my knitting library for many years to come. It's not cheap but thinbk of it as an investment. Any serious knitter will get more than their money's worth out of this. Animal Hats by Vanessa Mooncie. Yes, lots of hats that look like animals. Who wouldn't want one of these? There are 15 hats in this book and they all look great. 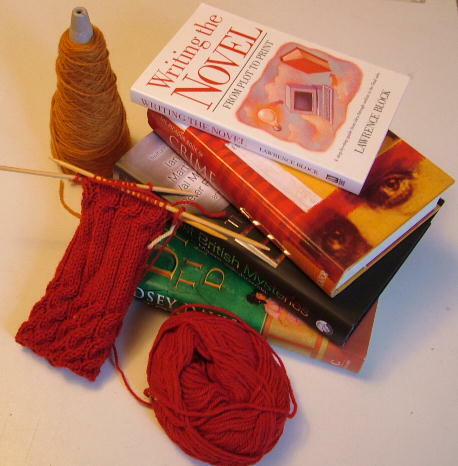 Cast On Bind Off by Lesle Ann Bestor. This has 54 (yes - 54!) different ways to cast on or cast off. Who knew there could be so many? It's spiral bound, smallish so it will fit in your knitting bag without breaking your shoulder (The Principles of Knitting might break your shoulder!) 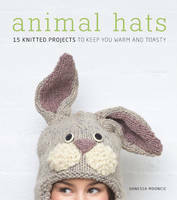 and something that every knitter will want. These books should all be available from larger branches of Waterstones (it's possibly too late for internet orders now, sorry I meant to do this last week!) or from a good local independent if you have one. Take care out there if you're shopping this weekend. It's going to be hell. Please remember that it's not the retail assistants fault if the item you want is out of stock, and if in doubt then buy a book token! Have a great Christmas and I'll see you on the other side.